A second bond looks set to fail, and funding costs for riskier issuers have been rising. Yet big and state-linked borrowers still enjoy low rates, because investors believe failure is only for the unlucky few. The real shift will come when China challenges that tenet. An employee counts money on the last workday of the week at a bank in Taiyuan, Shanxi province, June 28, 2013. China faced its second bond market default as Huatong Road & Bridge looked set to miss a 400 million yuan ($65 million) repayment to creditors on July 23. The Shanxi province-based company’s notes were trading above 25 percent on July 22, compared with their original yield of 7.3 percent. Chairman Wang Guorui was “assisting” with an official investigation, the company said in a statement to the official Shanghai clearing house. Wang was dismissed from a local political advisory body on July 10. Chaori Solar became the first publicised onshore bond default in March, when it skipped an interest payment. Its bond was traded on the Shenzhen market, while Huatong’s is traded on the larger interbank market, where the majority of Chinese corporate bonds change hands. 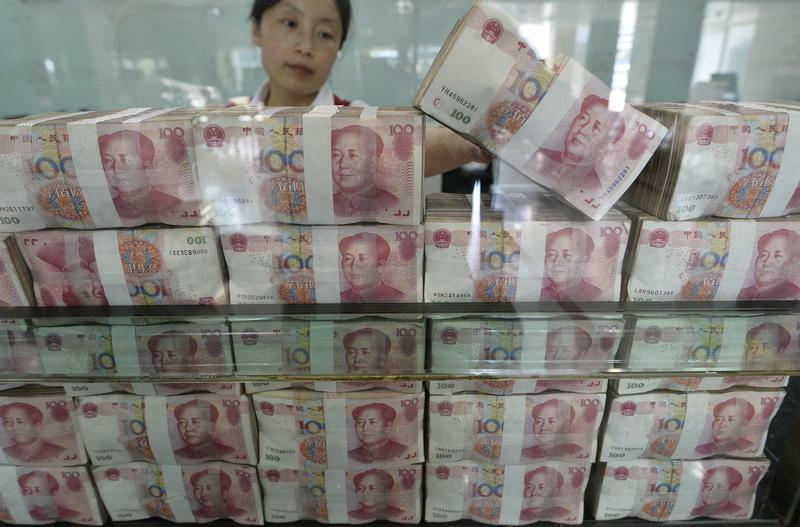 China’s “onshore” bonds are those issued by companies in its domestic markets, as opposed to “offshore” bonds sold to investors elsewhere, typically in currencies other than the Chinese yuan.